Fried chicken is one of the 10 most popular comfort foods in the United States, says Alton Brown in the "Food Network Magazine." But it's also a food that may be difficult to incorporate into a healthy, balanced diet. Besides being high in fat, fried chicken can contain large amounts of sodium: Commercially prepared fried chicken may have as much as 860 milligrams of sodium per serving, an amount that supplies 37 percent of the sodium a healthy adult should limit herself to daily. To control your sodium intake, prepare fried chicken at home using flour you've seasoned with low-sodium spices and herbs. Eat fried chicken only occasionally, and use an alternative, low-fat method like oven-frying whenever possible. Measure flour into a large mixing bowl. Plan on approximately 2 cups of flour for every 4 pounds of chicken. Add your choice of low- or no-sodium seasonings, such as freshly ground pepper, garlic powder, onion powder, thyme, oregano, a commercial salt-free seasoning blend or low-sodium seasoned salt. 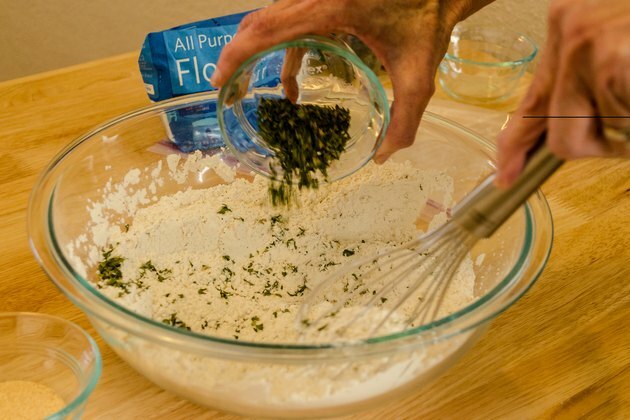 Combine the seasonings with flour thoroughly using a whisk. 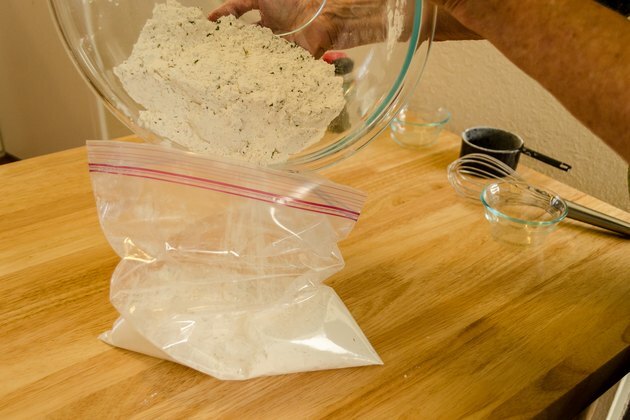 Store the seasoned flour in a plastic resealable bag or an airtight container, or use it as a fried chicken coating immediately. To help the seasoned flour stick to the chicken, mix in a small amount of buttermilk until the flour has the texture of wet sand, then use the mixture to coat the chicken pieces, advises the editors at America's Test Kitchen. 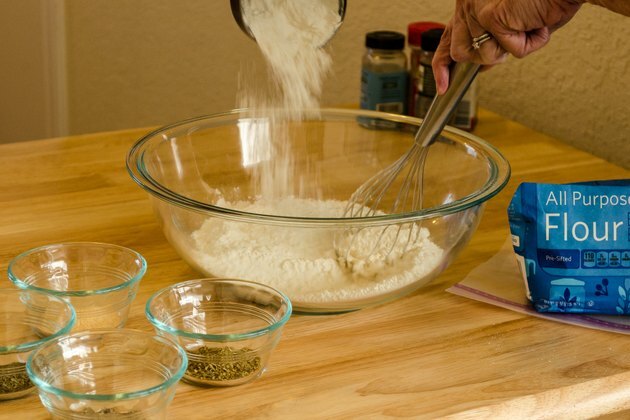 For a crunchier coating, add a few teaspoons of baking powder to the seasoned flour before using. 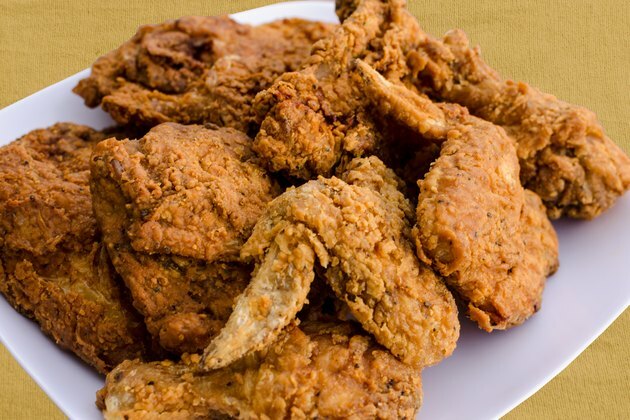 If you want a spicy fried chicken, add spices like cayenne pepper and chili powder to the flour. Do not store and reuse seasoned flour that you have already used to coat raw chicken.